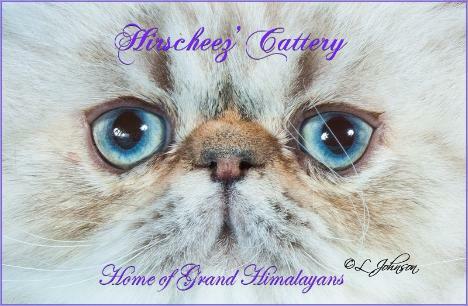 Welcome to Hirscheez' Himalayans We are a very small cattery with only a few cats. we only breed twice a year and only for show kittens . here you will see a look like no other. Please stop in and see my beautiful babies ! thank you and God Bless! I'm so proud and honored that my kitties Picture was on the Front cover of Cat talk in Dec issue. Thank you for using my babies on the front cover.